iderdider....: i am the luckiest. I offered to take them to OMSI or the Children's Museum or for a hike. These two chose to spend their day off of school in their jammies until 4 PM. 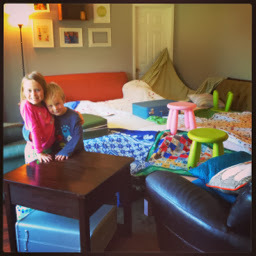 We used every blanket in the house to make an excellent fort. We ate waffles for lunch and read stories nestled underneath. It was a magical day.